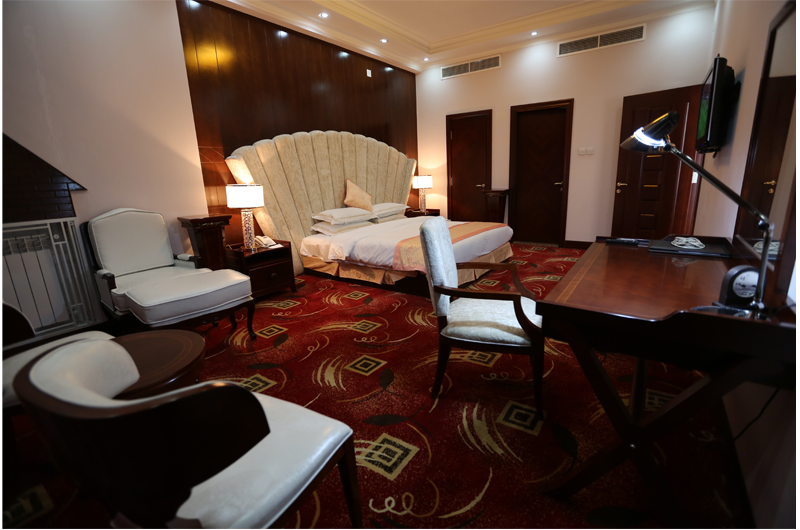 Kabul Star Hotel gives you luxurious suite rooms. We have total 9 suite rooms each containing 1 living room, Set Couch, TV lounge, Jacuzzi & 1 Bed room. What makes it unique is the cozy private Jacuzzi bath fitted in corner of the spacious sitting room. The luxurious set of sofa and the truly splendid lamp stand set beside it together with the soft wall-to-wall carpeting makes you feel like you are in a home away from home. A private bathroom and a washroom are also part and parcel of the suite package.